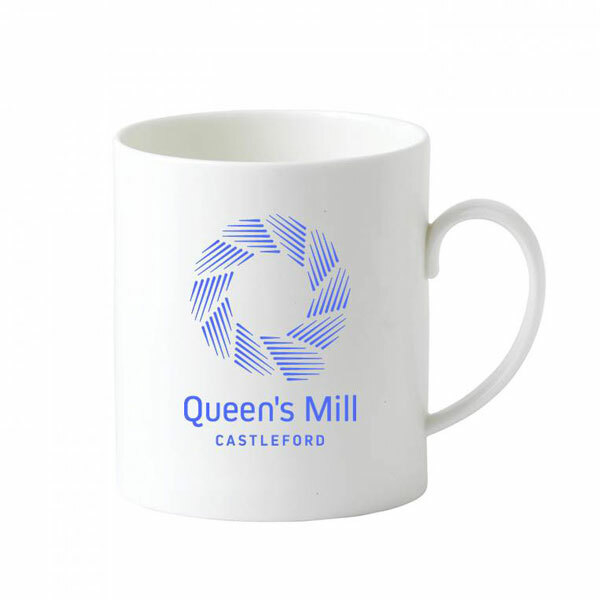 The Trust has a range of products that can be obtained at Queen’s Mill open days, the Trust Craft Shop in Castleford Market or by post. If you would like us to post you an item please contact us for details of postage and packing. 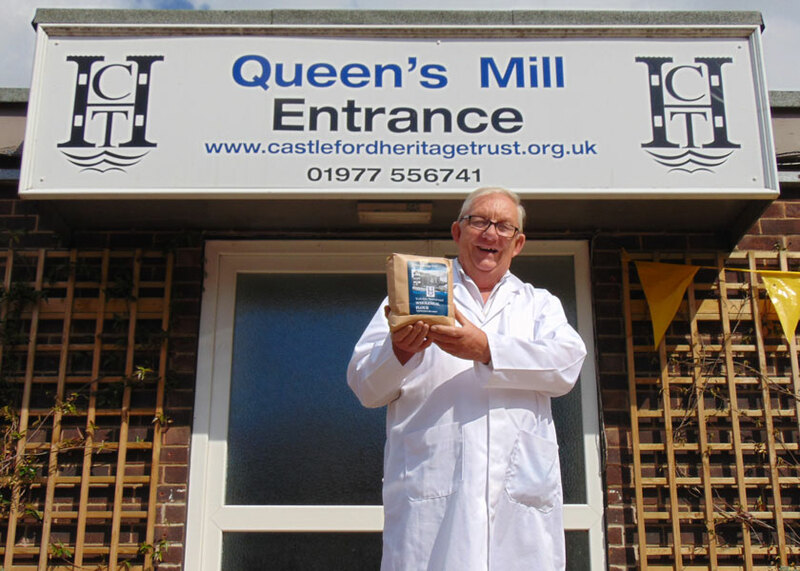 Flour production started again at Queen’s Mill following an initiative led by Trust volunteer Rod Rayner. The flour we produce comes from wheat grown in the fields around Selby using traditional stoneground methods. Unlike mordern milling nothing is added and nothing is taken away from the wheat. This gives us a unique flour which is ideal for bread and pastries. Our flour is readily available from these outlets in both 0.5kg and 1.5kg bags. If you are a professional baker we can supply flour in 15kg tubs. This book is a collaboration between the Trust volunteers. 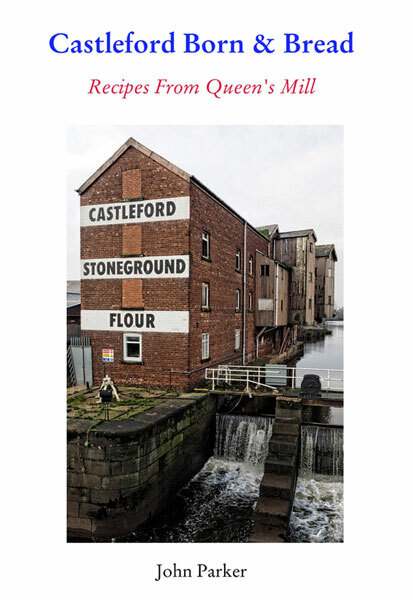 It contains a history of Queen’s Mill, artwork by Dave Cawthorne’s Thursday Art Group, photographs by Rod Rayner and recipes using our flour. There are recipes for bread, cakes, pastries and even dog biscuits! All the recipes have been tried and tested by John with the help of our miller Dave Weatherson and John’s two dogs Daisy and Dennis. The answers to these questions and a plethora of equally intriguing facts can be found in this unique collection of stories, photographs and maps. 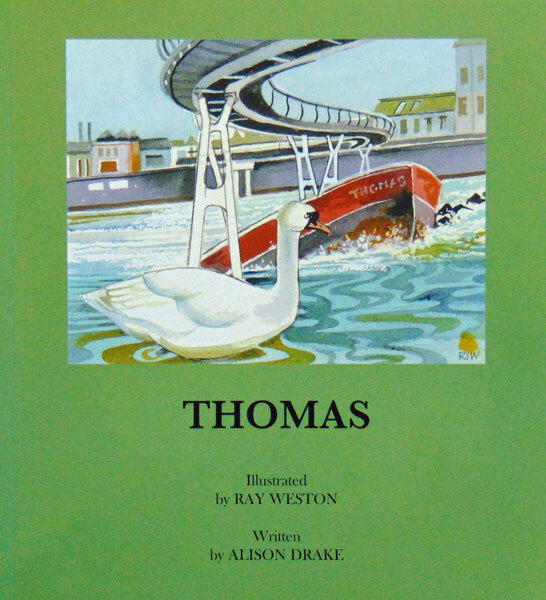 Thomas is a children’s book which tells the story of a boat built at Knottingley in 1934 for a Skipton man called Walter Holden who named the boat after his son, Thomas. Each page gives the reader a short story or fact about Thomas and is accompanied by a colourful picture drawn by local artist Ray Weston. The book was written by Trust Chair Alison Drake who taught in several Castleford primary schools before becoming a headteacher in North Yorkshire. This book makes delightful bedtime reading and will be enjoyed by children of all ages. 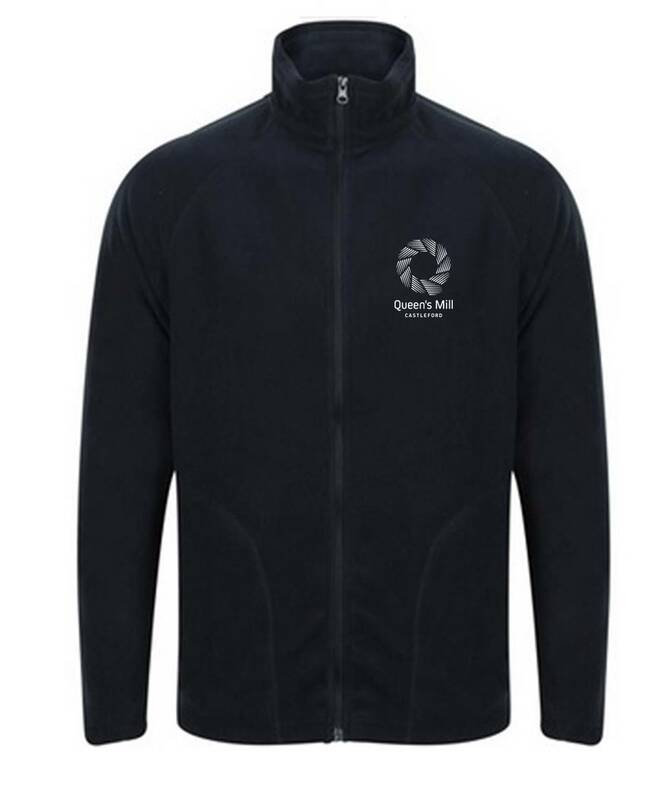 A microfibre fleece is great at keeping you warm and this super lightweight, highly breathable fleece jacket is no exception. It offers great comfort and functionality, it's easy to care for and quick drying. 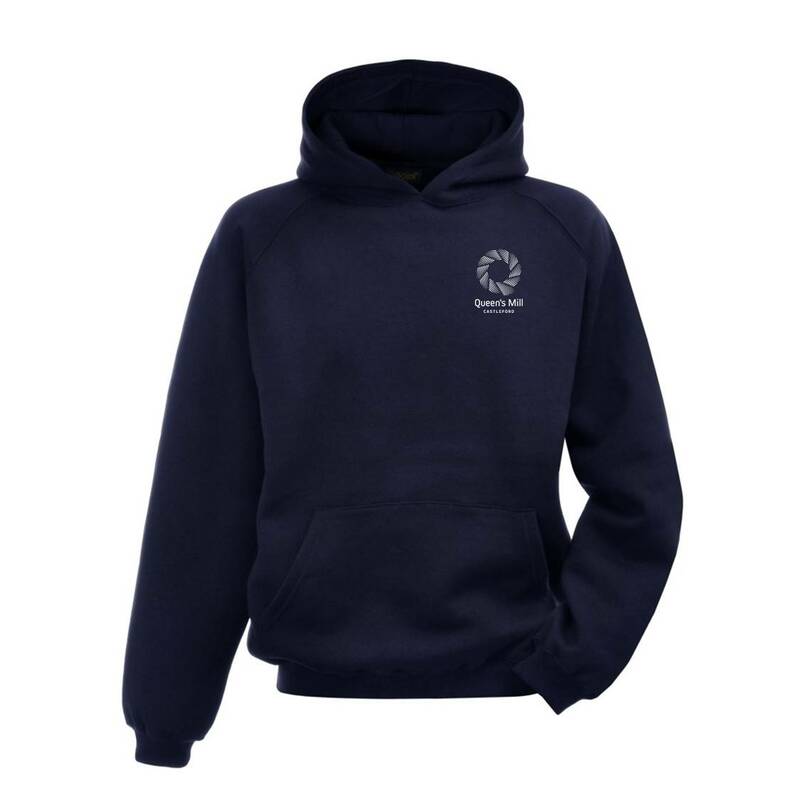 Navy Hooded Top with front pocket and inside razing ideal to keep warm. Unisex fitting complete with white Queen’s Mill logo. Double Pique Polo Shirt. Material: 100% ringspun cotton. Rolled forward top stitched shoulders. Two self colour button placket. This item is also available in white with a navy logo. 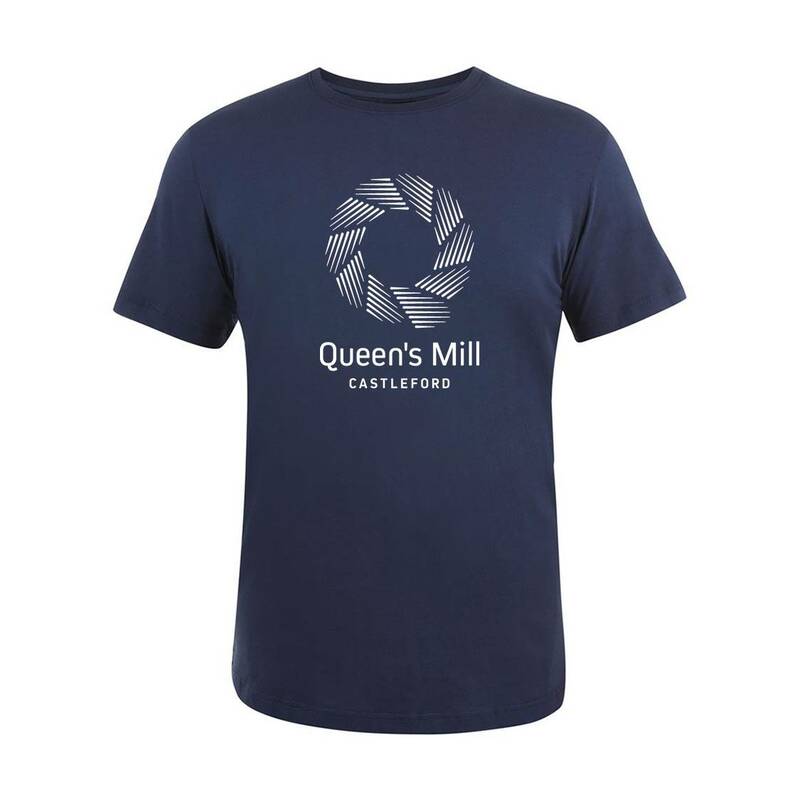 100% Cotton, machine washable T-Shirt in navy with white Queen’s Mill logo. 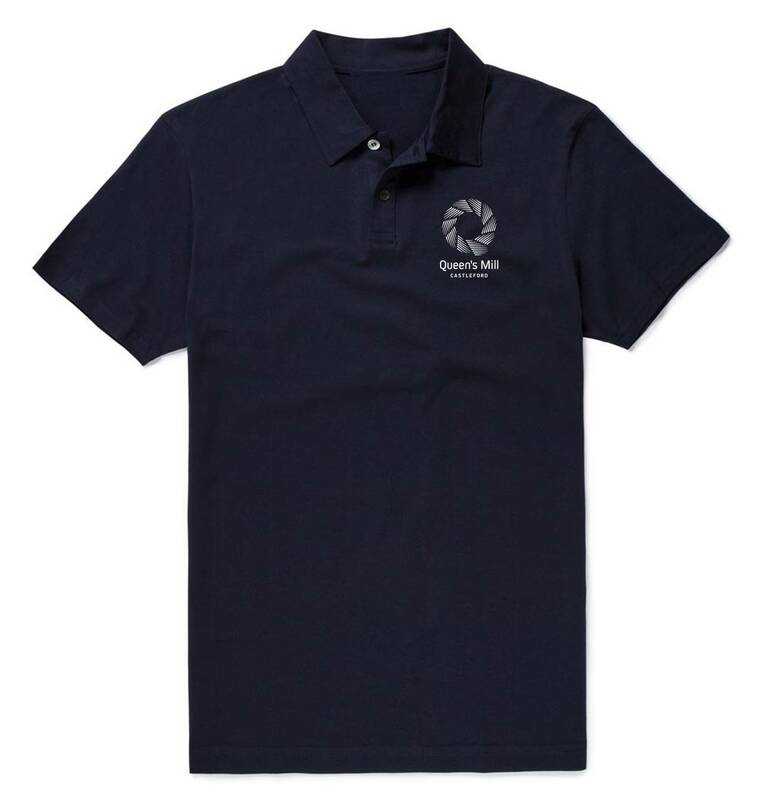 This item is also available in white with a navy logo. The Apollo is an elegant bone china mug with flared rim and ear shaped handle. The modern, yet elegant Ashlar mug draws on the geometric patterns and textural shapes of the architectural movement. 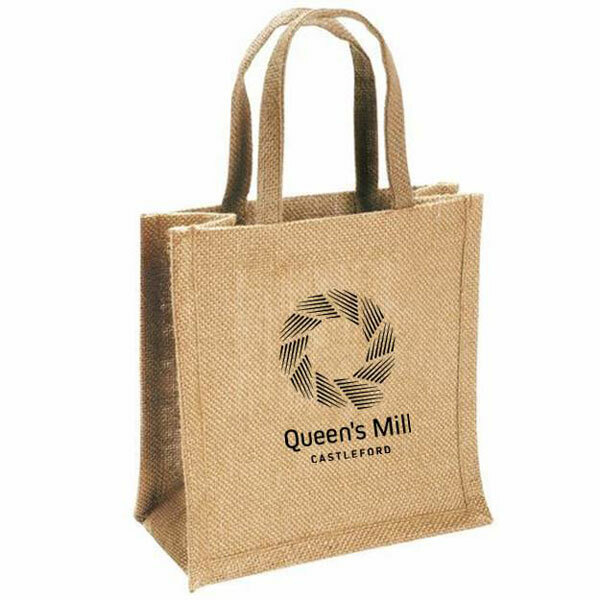 Our bags are made with natural eco-friendly materials and are reusable. 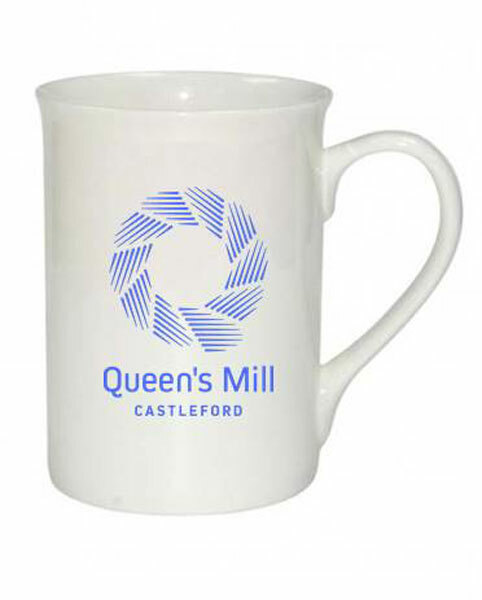 They are printed with a black Queen’s Mill logo.